Jeep has just announced that a will be heading to Europe to join the Italian Carabinieri’s anti-terrorism unit. The vehicles are all painted in the traditional blue livery and have all-new blue LED flashers on the tailgate. They come equipped with the company’s 190-horsepower 3.0-liter V6 turbodiesel engine, paired with an eight-speed automatic transmission and permanent four-wheel-drive. That should make them ideal for pursuing criminals when they veer off the beaten track but to ensure that the perps do not outrun them on the road either, the suspension components have been reinforced to enhance on-road handling too. 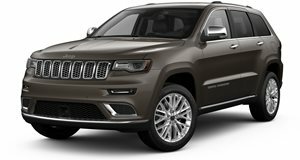 Numerous parts of the Grand Cherokee vehicles have been armored such as the windscreen, side windows, tires and body panels. That should help keep the occupants safe if things take a turn for the worse on a mission. The cabin is equipped with a 7-inch Android tablet that runs the advanced Odino technological system used by the Force, providing a real-time connection to the joint databases of the Italian Police and the vehicle registration authorities. The has already been delivered to the Italian Carabinieri and the remaining vehicles will be doing duty across Italy by the end of the year. FCA has had a long association with the Carabinieri, having provided Alfa Romeos to them since the end of WWII. The integration of the Jeep brand into the fold means that they now have access to the rugged Grand Cherokee too as well as the Renegade and Wrangler models which are already in service with the Carabinieri.